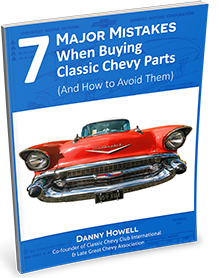 This 1955 Chevrolet Owners Manual is a must for every classic. This manual is an exact reprint of the original that came in the glove box with every new classic. It is full of all the handy "how to operate your new car" information as well as handy original facts and warranty information. 32 pages, 5-1/4" x 8-1/2", saddle stitched.